At Premier Fencing, we are proud to have served our valued customers from Kitchener/Waterloo and the greater Southern Ontario region for over 90 years. Branching out from our affiliate Boyer Fence and Deck as an established deck and fence building contractor specializing in both residential and commercial sectors, Premier Fencing has helped hundreds of local area homeowners and entrepreneurs upgrade and transform their properties through backyard and workplace solutions designed to enhance the beauty and security of a home or place of business. Our in-house team of fence and deck contractors have the technical expertise to meet your outdoor furnishing needs and the design experience to match the style of your home or office, using only the highest quality materials. Your satisfaction is our guarantee. 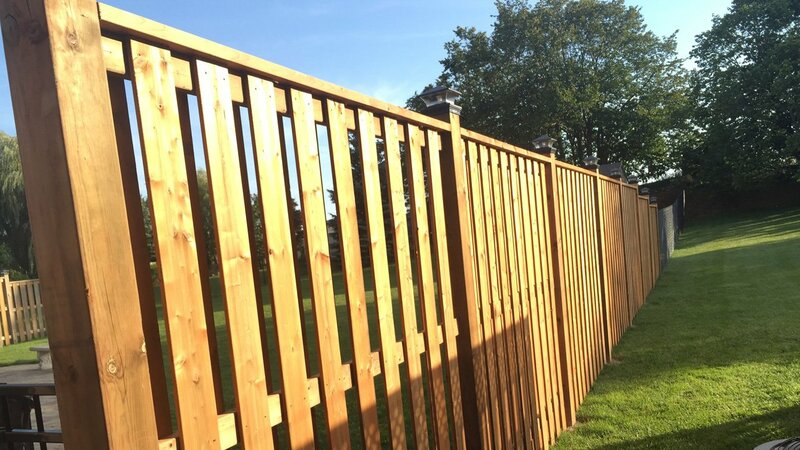 Premier Fencing is pleased to offer an exclusive 2-year warranty on our products and workmanship. A perennial favourite and true classic, wood fencing remains a top choice among homeowners today. And for good reason, too. Durable, attractive and always in style, quality wood fencing is sure to deliver privacy with a side of practical elegance. 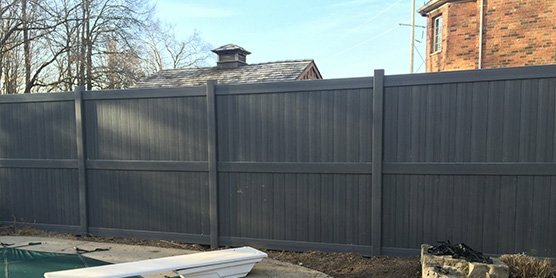 Customizable with your choice of exterior paint or stain, natural wood fencing is adaptable to your needs over time, while remaining a timeless addition to your home and garden. The team of fence building contractors here at Premier Fencing is pleased to offer residential and commercial property owners a selection of optional additions such as gates, handles, accessories, chain link fences and more not offered by other pergola builders or fencing companies. We invite you to give us a call or discover more ideas and inspiration within our gallery pages online. 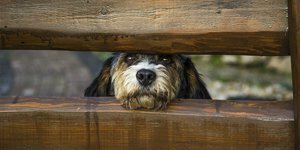 Help keep Fido safe with residential pet fencing that allows your pet to roam free on your property, or secure an exterior kennel for pup to seek shade or simply relax with a chew toy while you spend time in the garden. Ask us about our custom kennel design, perfect for indoor or outdoor supervised use made from durable, pet-friendly materials designed to last for a long time. Give your best friend a place to call their very own in the protection of your backyard.We invite you to speak to our team of professional fence installers to choose the right design for your needs, for an outdoor space the whole family can enjoy. Get the look for less. Less time, money and commitment, that is. 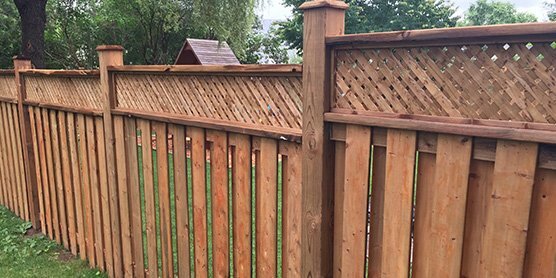 Solid, economical and easy-care, vinyl fencing is an excellent alternative for those who appreciate a natural wood look but don’t have the time or desire to undertake the regular upkeep that typically comes standard with the option. No painting or staining and little to no maintenance required makes this polished yet practical pick the ideal choice for the busy homeowner looking for a fence that will stand the test of time all on its own. Choose yours from a wide variety of colours and styles and schedule your installation today. Combining old-fashioned elegance and thoroughly modern design, ornamental iron fences lend a distinctive look to any residence lawn or garden. Available in a multitude of configurations as a single level or tiered structure for graded lots in classic black with post-tops optional, this contemporary favourite adds flair as well as function to your property. Proudly made in Canada, these ornamental iron pieces are constructed from solid, galvanized steel and polyester powder coated with a protective Galvume process, making this stylish fencing option a statement that looks fresh season after season, year after year. Help protect your investment and your inventory with durable, reasonably priced commercial options, available with advanced features such as automated entry systems, high-tensile barbed wire and barrier gates for industrial fences. 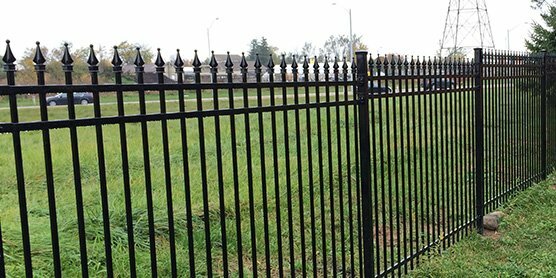 Cost-effective and essentially maintenance-free, our quality industrial fences and security options installed by qualified commercial fencing contractors are designed to offer affordable peace of mind. When it comes to finding that perfect place in the sun (or the shade), it’s all in the details. Premier Fencing is pleased to partner with condo developers and building managers as well as individual homeowners who are looking for that finishing touch. 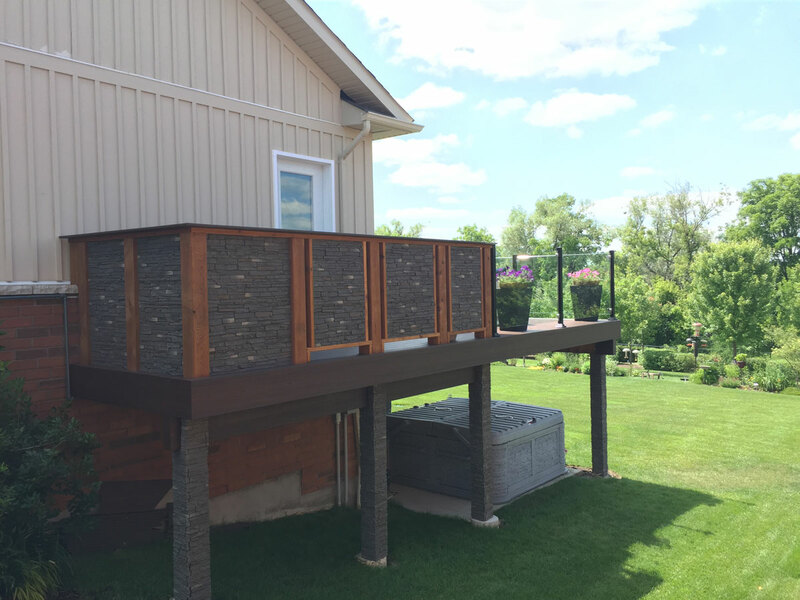 We offer the design, construction and installation experience to add patio and balcony railing to most layouts for extra functionality and uncommon elegance, capable of adding dimension and a fresh air retreat to virtually any outdoor space. 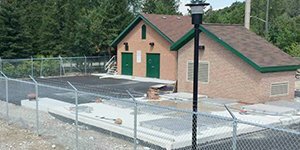 Baseball backstops and batting cages, tennis courts and pool fences, and enclosures at other athletic facilities are just some of the sport applications for our commercial fencing products. 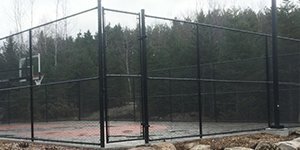 Our team of professional commercial fencing contractors can help you keep spectators safe and protect surrounding homes and residents, while keeping your sports field up to standard. Contact Premier Fencing for Your Free Quote Today! Ready to get started? So are we. 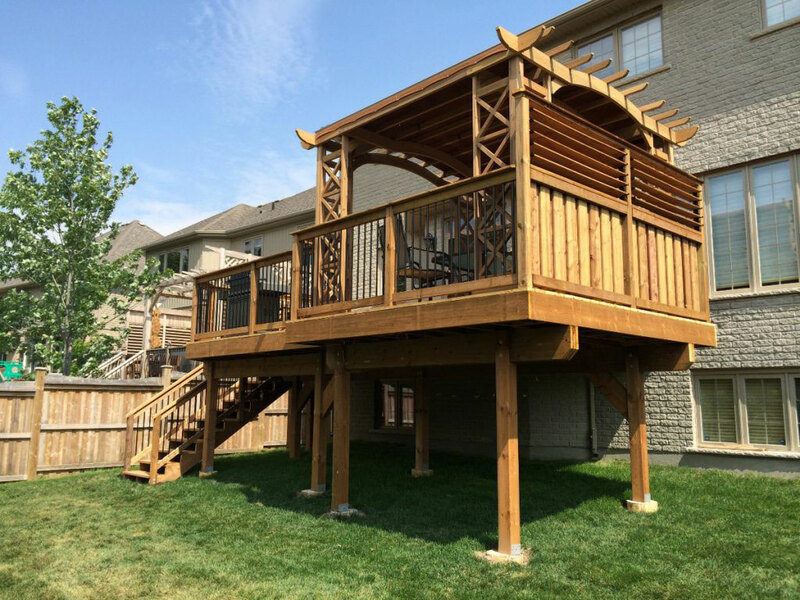 Call the fence and custom deck builders that know quality and design at 519-500-5545 to find out more about the residential and commercial fence, deck and pergola options available to you. We invite you to speak to a friendly and knowledgeable Premier Fencing fence and deck contractor to receive your free quote on our services today. You’ll be glad you did. Committed to Quality, Committed to You. Premier Fencing is a family business as well as the fence building contractor our community has come to count on for the professional, client-focused advantage that delivers more, for less. As always, when you call to inquire about the deck and fence building services we have to offer, we’ll meet with you to provide a quote for free. No hidden costs or surprises. Trends may have come and gone over the years, but our commitment to quality remains the same. 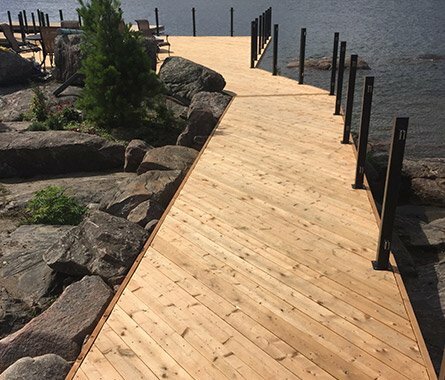 As our team of custom deck builders and residential/commercial fencing contractors continues to grow throughout Southern Ontario, 90 years later we’re still making great products that are built to last. We know that these days, our customers have a choice when it comes to finding the right deck installer or fence building contractor. That is why we provide only the highest quality services and materials, a policy which separates us from other fencing companies and allows our valued customers to align with a Premier Fencing custom pergola, fence and deck installer with confidence. At Premier Fencing, our on-site team of custom deck builders and residential/commercial fencing contractors see the whole picture and will help you to achieve your vision while staying within your budget. Together, we’ll create the backyard oasis of your dreams, or add the security your commercial property needs. We understand that every client has unique tastes and requirements, and we are pleased to provide you with the variety of quality products that meet those needs and exceed expectations. 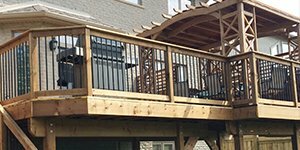 As professional custom deck builders with an experienced fence building team, we bring decades of experience to each and every project, and we’re happy to help every step of the way. From design to delivery, our team maintains it’s open door policy for input, ideas and innovative thoughts. At Premier Fencing, superior quality and customer service is our guarantee. That is why our team of fence installation specialists and custom deck builders is proud to partner with Yardistry, one of the most recognized names in the industry for outstanding outdoor living merchandise. 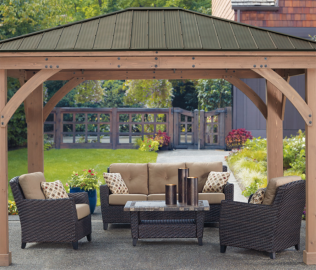 From screens and swings to planters and pergolas, Yardistry is your number one choice for durable, stylish home improvement products, now available at PremierFence.ca. Call to speak to our team of fence building contractors at Premier Fencing today to find out more about the Yardistry line of backyard solutions and our authorized, all-inclusive installation service. The staff here at Premier Fencing leverage our industry partnerships every day. 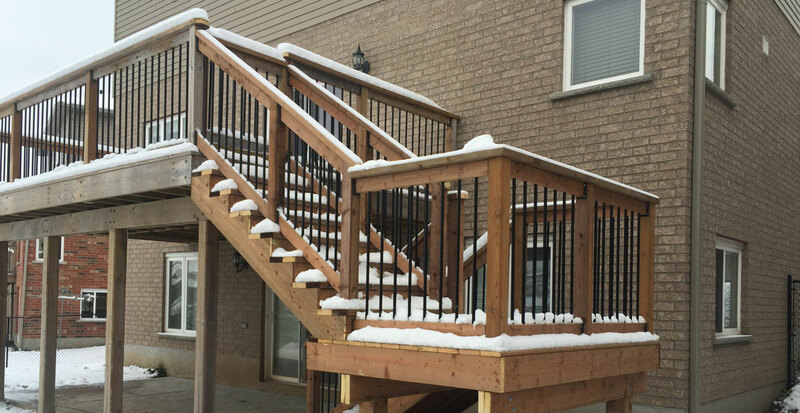 From custom deck builds to professional residential and commercial fencing solutions, we see the difference quality makes. That’s why we choose Yardistry for many of our outdoor home building products and accessories. 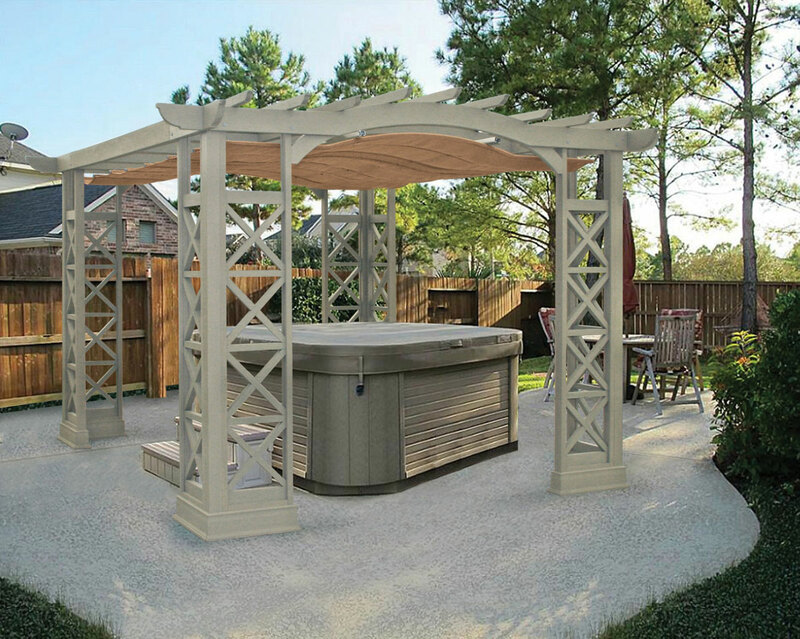 Made from durable, high caliber exterior grade cedar, Yardistry wood-based products allow our clients to choose from a wide variety of backyard structures that are anything but basic. We offer select models online on our website for the DIY enthusiast as well as those who choose to have their investment professionally installed by a member of our deck and fence building contractor team. 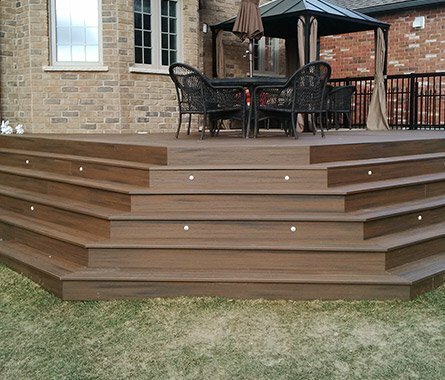 Your Premier Fencing deck contractor is pleased to discuss your options with you, and to help you choose the right products for your individual needs. We are proud to stand alone among fencing companies when it comes to delivering only the best in product, service and design… and believe that our customers should expect nothing less. 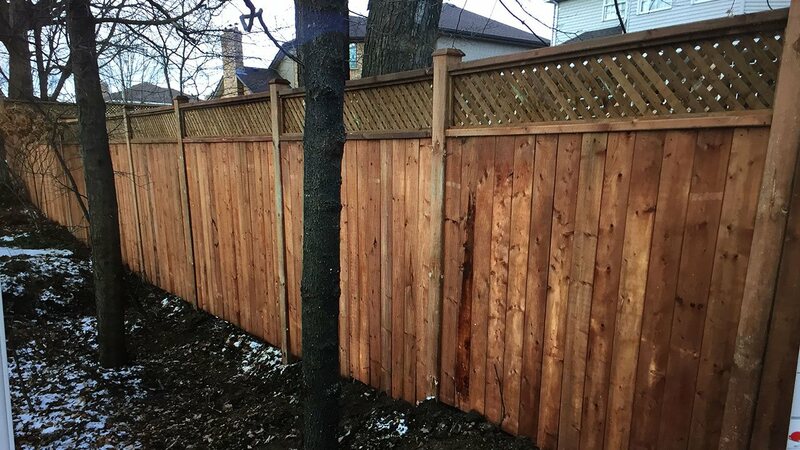 Premier Fencing is pleased to provide quality in materials, construction and customer service to the residents of Kitchener/Waterloo, Cambridge, Wellesley, Woolwich and surrounding areas. We are pleased and proud to serve customers across Southern Ontario from our business headquarters in Waterloo. Conveniently located just off the Highway, our in-house team of deck, pergola, residential and commercial fencing contractors is readily available for professional design and installation by appointment. Call today to schedule your free in person consultation! 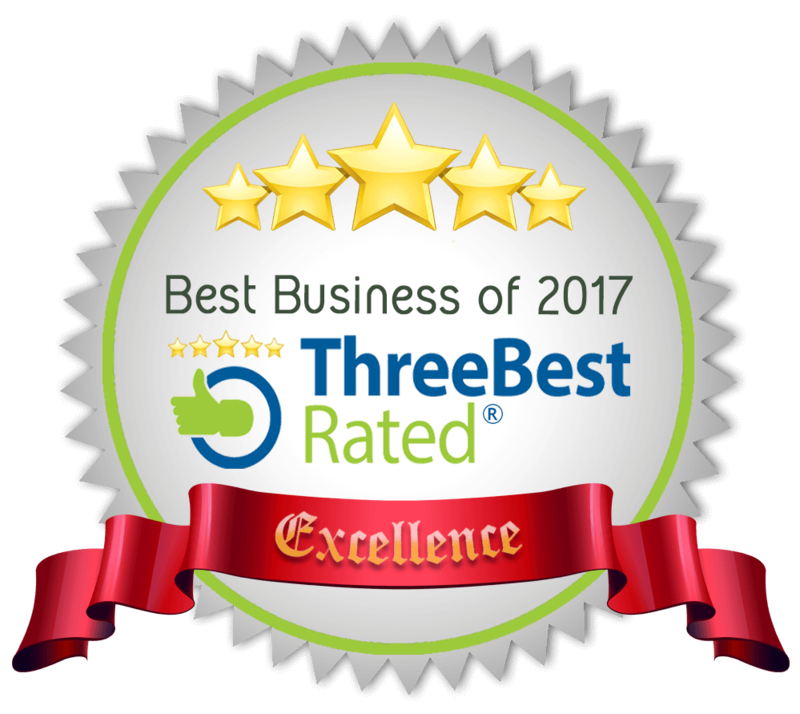 We are a fully BBB accredited company, and are proud to offer an exclusive, 2-year guarantee on all materials and workmanship. Our commitment to honesty and integrity in all we do is a part of what makes us one of the area’s most trusted deck design and fencing companies -and that’s just good business. A family-owned operation since we opened our doors nearly a century ago, Premier Fencing is different from other pergola builders, fencing companies and deck specialists in the industry. 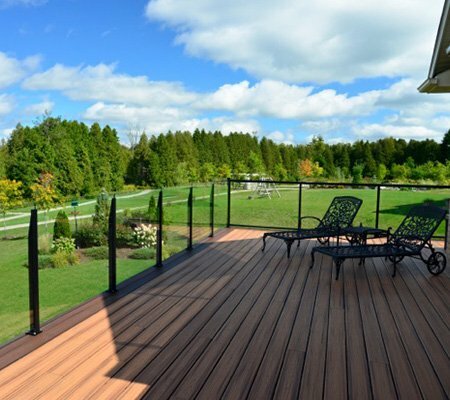 Quality decks, privacy and security fencing, commercial and industrial fences, farm enclosures and custom exterior furnishings are just some of the quality products we offer-and we’re proud that the Boyer name and our expanding catalogue of available options have become synonymous with superior service and design. Our experienced team of custom deck builders and fence installers is pleased to serve our community, delivering uncompromising quality at a fair price. From our family to yours. Contact Us Today!